The electric car market is growing with each passing month. This interest is natural and is related to several well-known factors. Tesla, with its many models, dominates this market. The latest 2018 figures show that the Tesla Model 3 dominated sales of electric cars around the world in 2018. After presenting in 2016, it was the following year that Tesla put Model 3 on the market. Since that time this model is attracting more and more customers. After some problems, Tesla was able to guarantee production speed. This is currently one of the most interesting electric cars on the market. Of course this has been noticed in sales and in the interest of consumers. 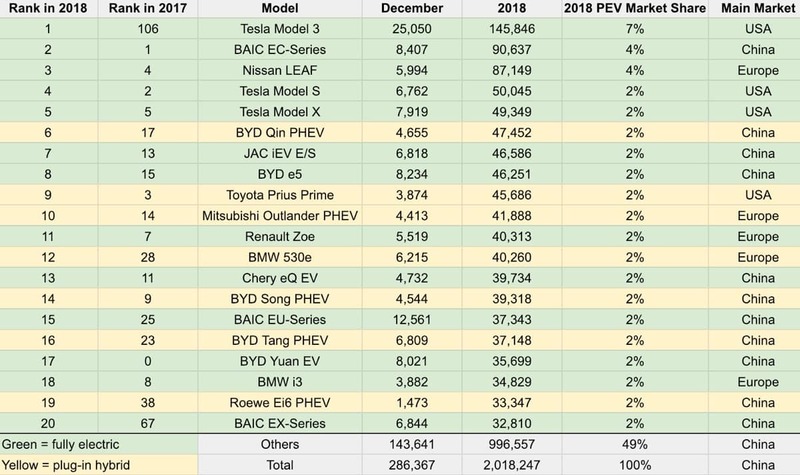 This trend is now confirmed by the most recent EV Volumes. 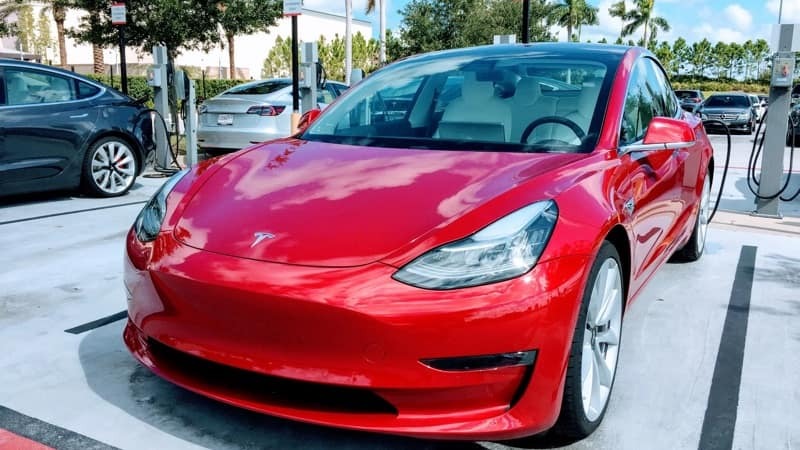 The Tesla Model 3 dominated sales of electric cars around the world in 2018. According to these figures, in 2018, Tesla sold 145,846 units of Model 3. Secondly, and at a distance of almost 55 thousand electric cars, we have the BAIC EC-Series, a Chinese model, very famous in the country. Model 3 managed to raise 7% of the electric car market, while the EC-Series and Nissan LEAF, third, achieved 4% each. Only after this top 3 we find the remaining models of the American brand. We are talking about Model S and Model X. These are in 4th and 5th position, respectively. In addition, and below these 2, we found 3 more Chinese models, among them the first hybrid plug-in of this list, and the Toyota Prius Prime and the Mitsubishi Outlander PHEV. Sales of Tesla and other electric cars have managed to push the share of plug-in vehicles to lower values. Worldwide this is already 2.1% in 2018. This is another positive facet of the many thousands of electric cars sold. With Model 3 the company seems to have been able to find its perfect sales model. Its lower price, compared to other models, and all its features make it the right choice for most.